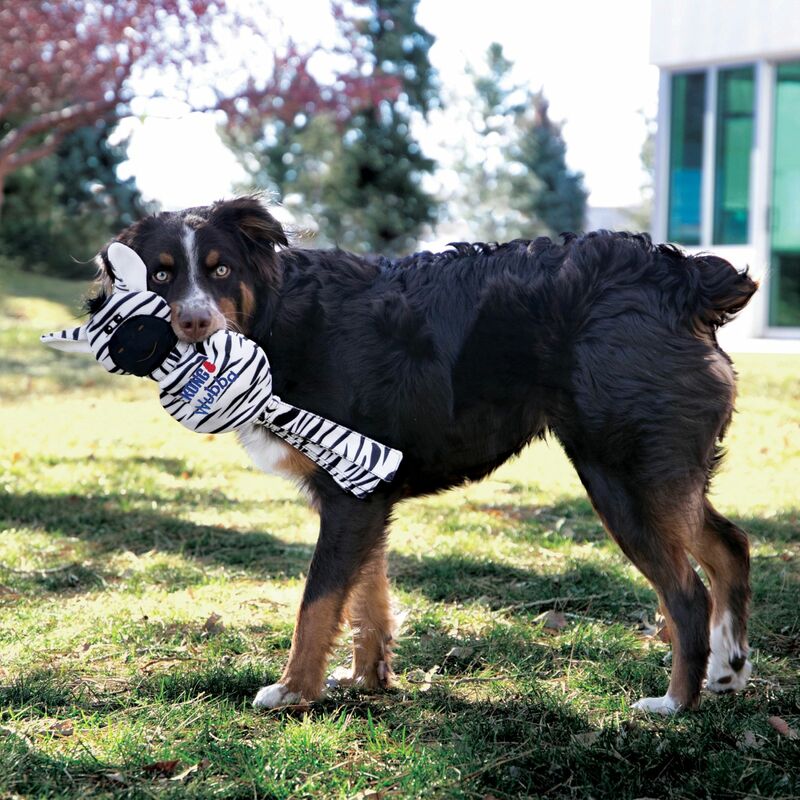 The Wubba No Stuff Giraffe is ideal for those dogs that are wild about fetching and tugging fun. 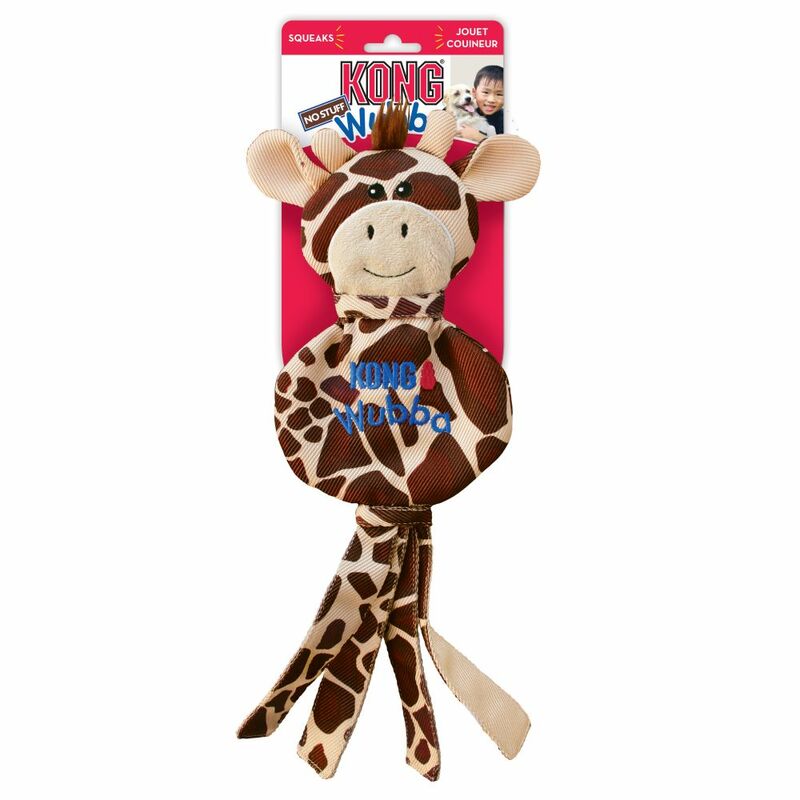 The long tails are ideal for natural thrashing while having no stuffing and a flat shape are designed for chewing satisfaction. 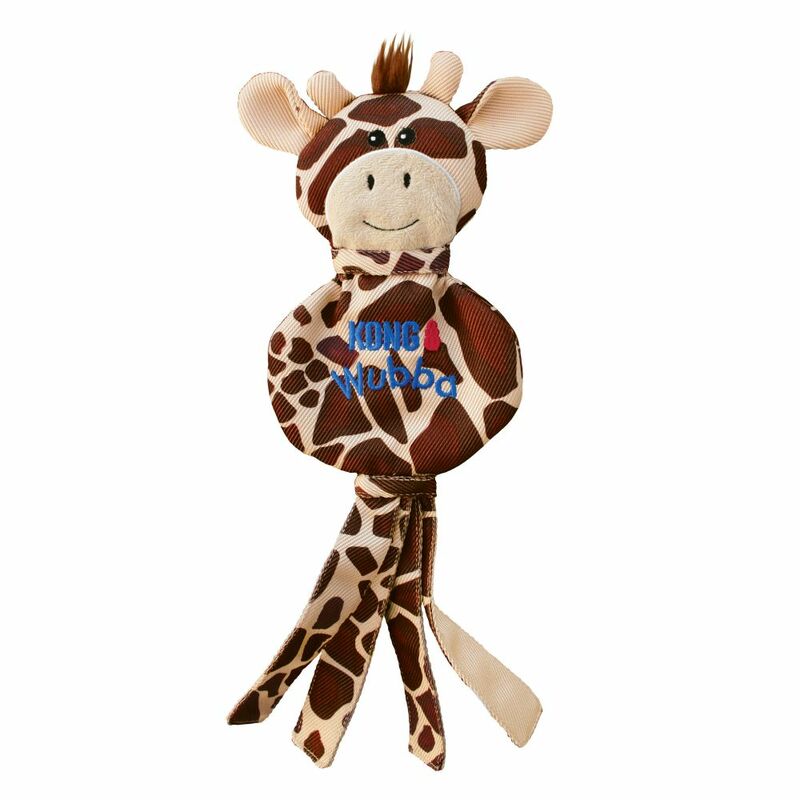 The squeaker adds to the enjoyment making play sessions last even longer.